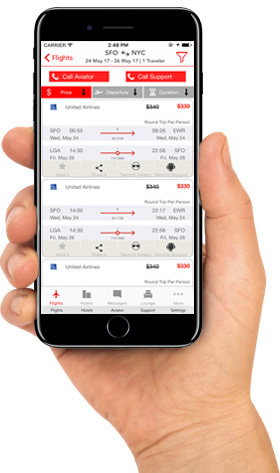 FlyEx, the first peer to peer travel booking app, connects you instantly to a FlyEx Aviator/Support to get the lowest prices anywhere customized for you on-demand. Or are you an traveler? 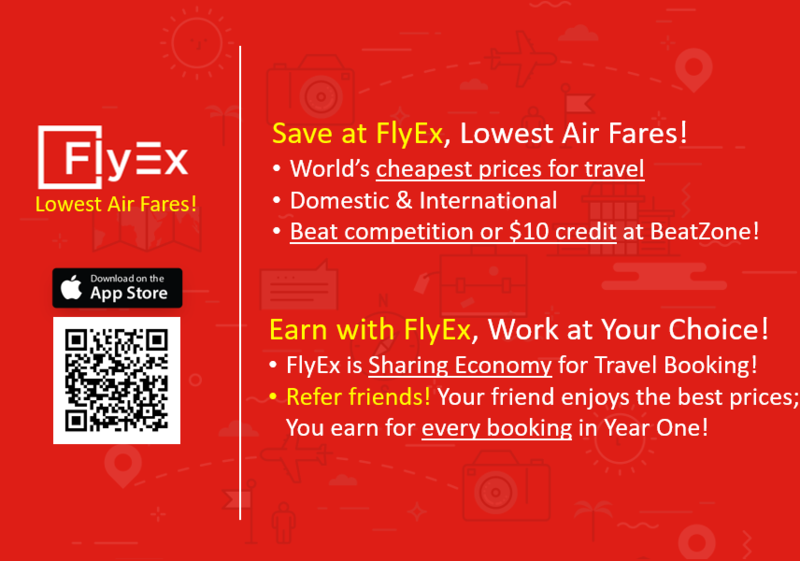 FlyEx leverages exclusive access to the lowest air travel prices to bring travelers in North America the lowest air fares for domestic and international travel! For International Travel, to India for instance, we are the very best! If you see a better price anywhere else, bring it to our notice - at BeatZone - we will either match the price or credit you $10 in the unlikely event we can't! Download the app, if you've been invited by a FlyEx Aviator/Support enter your code. No code, no problem, let us recommend a trusted Aviator/Support for you. 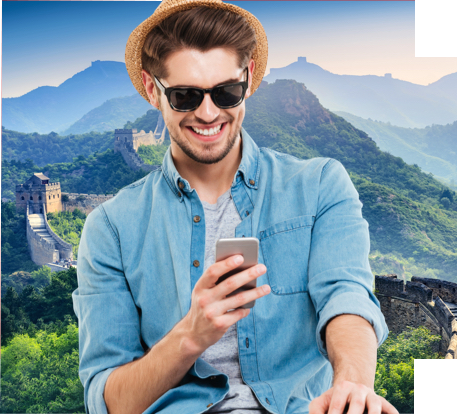 As a FlyEx Traveler, you'll enjoy a personalized travel purchase experience with access to the lowest airfare and hotel prices customized by your trusted Aviator/Support. Let your FlyEx Aviator/Support save you time and money. Message them in-app what you're looking for, sit back, let FlyEx do the rest. No hassles, no headaches. Download the app and start traveling. © FlyEx 2016. All rights reserved.